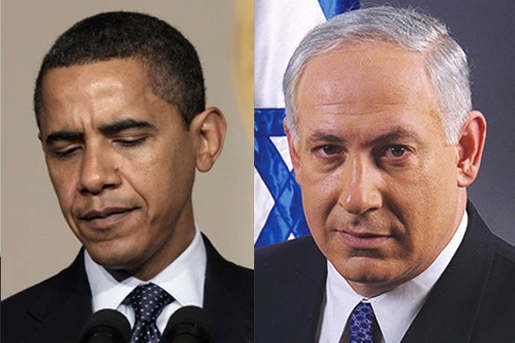 Opinion Forum » Will Obama Betray Israel? Jeff Robbins wrote an interesting review and commentary on a new book at The Wall Street Journal Opinion Journal. Robbins’ comments are particularly relevant at a time when the Obama Administration, Democrats in general, and most of the media are taking a studied know-nothing approach to policy regarding Israel and problems in the Middle East. And just last week, despite yet more stories in the western media that Hamas was at last “moderating” its position on Israel, Hamas informed former President Carter, whose credulousness on the conflict is a source of some wonderment, that as it had previously made clear, it would never recognize Israel’s right to exist under any circumstances. The Administration’s purposeful distancing of itself from Israel is likely to empower those who have always believed, and who continue to believe, that in the fullness of time, American support for Israel can be degraded, and with it Israel’s ability to survive. Those in the Arab world who have counseled that that is the case — and there are many of them — will take the Administration’s insistence that it wishes to be “an honest broker” as evidence that, at long last, American support for Israel has begun to erode, and that it is only a matter of time before it is no longer necessary for them to pretend that it is a two-state solution in which they are interested. If this proves to be the case, the Obama Administration, while intending to be helpful, will have inadvertently dealt whatever prospects exist for Middle East peace a serious blow. In his new book, “One State, Two States: Resolving The Israel/Palestine Conflict,” historian Benny Morris recounts the lugubrious history of Palestinian refusal to actually accept Israel as a Jewish state in the heart of the uniformly Muslim Middle East. Morris examines the widespread rejection by Palestinians in particular and Arabs in general of a two-state solution that, he points out, has been “a constant refrain of Palestinian leaders … throughout the history of the Palestinian national movement,” up to and including the present. For over 80 years, as Morris notes, Palestinians have “persuasively demonstrated” that they do not want any Jewish state in the region, regardless of the boundaries, and regardless of the settlement policy pursued by this Israeli government or that one. The Palestinian rejection of any Jewish state has not merely been the recurring theme of the conflict, but the dominant one. Thus, in the 1930s, the Palestinians rejected a proposed two-state solution that would have created a Jewish state in less than 20 percent of Palestine. In the 1940s, the Palestinians rejected the United Nations partition plan which created a Jewish state on less than half of the arable land in Palestine. From 1948 to 1967, when Israel had no presence in Gaza, the West Bank or East Jerusalem, the Arabs created no Palestinian state. After the 1967 war, when Israel accepted the land-for-peace formulation in UN Resolution 242, the Arab world, including the Palestinians, rejected it. In 2000, when Israel supported a plan put forth by President Clinton that would have created an independent Palestinian state with a capital in East Jerusalem comprising all of Gaza and virtually all of the West Bank, the Palestinians rejected this too, instead commencing a campaign of bombings that left 1,100 Israelis dead and, not incidentally, 4,000 Palestinians dead as well. And in 2006, when Israel unilaterally and forcibly removed thousands of settlers from the Gaza Strip, abandoning any Jewish presence there, Palestinians responded by rocketing Israeli civilian centers, eventually leaving Israel with the unenviable choice between abandoning ever greater numbers of its civilians to daily Palestinian rocket attacks, on one hand, or entering Gaza to stop those attacks, with the inevitable harm done to civilians there, on the other. For its part, the Hamas leadership, which had assassinated many of its opponents and achieved a military takeover of Gaza, was more than content to trade hundreds of Palestinian lives in Gaza for the international criticism of Israel which Israel’s efforts to protect its civilians from these rocket attacks would reliably trigger. In the meantime, Abbas refused to recognize Israel as a Jewish state, telling the Post that he preferred to let the passage of time take its course, confident that American and international pressure on Israel would further weaken Israel’s position. This is leading to what can only be termed a betrayal of Israel. Whether caused by ignorance, bias, or incompetence, the tragedy that may result will be the same. It’s time for the Obama Administration to step back and re-think its actions. There is this really mistaken and truly dangerous belief that keeps circulating in spite of its obvious fallacy which is that the second the Palestinians get their own state the whole issue will be magically resolved. Many people like to imagine the Palestinians as a uniform group that has one shared dream: their own state. They refuse to hear those among the Palestinians who have no interest in a peaceful resolution and who say that the terrorism will not stop but will actually increase if they are granted their sovereign state. Hamas said time and again that they will not accept Israel’s existence under any terms. Why are so many people totally unwilling to hear this message? Is it just simpler to analyze the Israel-Palestinian conflict in these reductive terms of “let’s just give them their own state and they’ll be happy”? It saddens me that Obama seems to be buying into this idea. The Palestinians, Arab countries, Iran, and most non-Arab Muslim countries refuse to recognize the existence of Israel, and their goal is to see it destroyed. This comes from national leaders, religious leaders, heads of political groups and terrorist groups, media personalities, movies and TV shows, most people in the street, and (worst of all) academics. How do Americans and Europeans, particularly progressives and liberals who otherwise pride themselves on their supposed sensitivity to people and their problems, somehow not understand this? The United States has long held the position that Israel will and shall exist. This love and respect for Israel has always had the support and political backing of the Religious Right. Now that the Christians are under constant attack don’t be too surprised if the welfare of Israel becomes a less visible priority. Don’t forget that many Christian leaders such as Rev. James Hagee are constantly attacked by Obama and the left. These leaders are all strongly pro-Israel and spend millions to support Israel and it’s defense. The attacks on these supporters should have been seen as a shift in our foreign policy. Obama is no friend to Israel. I believe that is against the best interest of the US to allow Israel to be thrown to the wolves. It is obvious from recent Obama administration that there is disagreement on how to actually handle Israel. It is a weird dichotomy that the leader of the U.S. would not support the only true democracy in the region and it really does seem that the President is much more comfortable with dictators like Hugo Chavez. How do Americans and Europeans, particularly progressives and liberals who otherwise pride themselves on their supposed sensitivity to people and their problems, somehow not understand this? This is absurd. Israel is a colonial nation that has illegally occupied land belonging to Palestinians. If a nation came to American, stripped Americans of their rights relegated them to ghettos, and then kicked them out of those ghettos they assigned them to make their initial colonial nation larger. Despite America not betraying anyone given that their demands is that Israel make good on the Camp David Accords, which they chose to sign, maybe Americans should betray Israel and stand for the ethical progress of democracy. Yunus, maybe you could point out for us the existence of a single democracy anywhere in the Muslim world. Perhaps you could explain for us why Jordan (65% of “Palestine” is located in there) is as disinterested in the Palestinians as everybody else? Perhaps you could explain to us why Palestinians have a 3rd class status throughout the entire Arab world? If Israel is an illegal occupier, then so is every nation state in the Western hemisphere. China and India would also have to be included in that group. As a matter of law, ALL international boundaries are legal fictions. Who gets to decide where those boundaries are? Arab/Muslim policies are ultimately self-destructive and self-limiting. Short term success is possible, but long-term success and expansion will always be beyond the grasp of Arab/Muslim states. Until the Arab/Muslim world faces up to the fact that if not for the West there would be absolutely no wealth at all in that part of the world. If not for Western technology and money, there would be no oil production at all in the ME. If not for the West, your Emirs and Princes would distinguish themselves by having nicer tents and more camels and goats than everybody else; education would be absolutely non-existent in a place where it is already nearly non-existent. Your ability to prattle on here in cyberspace is due entirely to Western technology and money. How many Jews are citizens of Saudi, Syria, the UAE, Kuwait, Egypt, Libya, Algeria, Oman, or Yemen? How many Muslims are citizens of Israel? Thank you for this clearly written article. I work at a post-secondary institution where dislike of Israel is both popular and politically correct. I must admit I find it hard to argue against because it’s so illogical! But I have “won” a couple of small victories. Thanks for your comment. It really is hard sometimes to discuss this issue, particularly with people whose opinions opposing Israel are set in concrete without regard to the facts of either current events or history. The majority of Palestinians and Arabs in general, along with most of the rest of the Muslim world, will never accept the existence of Israel, especially in the Middle East. Unless that changes, which is highly unlikely, the prospects for peace will remain bleak.